In 2007, Harvard Business School (HBS) and Harvard Kennedy School (HKS) created two joint degree programs in business and government: the Master in Business Administration/Master in Public Policy (MBA/MPP) and the Master in Business Administration/Master in Public Administration-International Development (MBA/MPA-ID). The first cohort accepted to these joint degree programs matriculated in fall 2008. By participating in the HBS/HKS joint degree programs, structured to be completed in three years, candidates will have demonstrated exceptional aptitude in the complementary areas of policy expertise and cross-disciplinary management. Graduates will be prepared for complex issues that call for the collaboration of the public, nonprofit, and private sectors—and for leadership effective in each. Watch this webinar to learn more about the joint degree program. The MBA/MPP and MBA/MPA-ID are three-year programs that combine the core curricula of the HBS MBA and HKS degrees with a wide range of elective options from both schools. The two joint degree programs are structurally similar and differ largely in the HKS courses required and in the elective options in the final year. 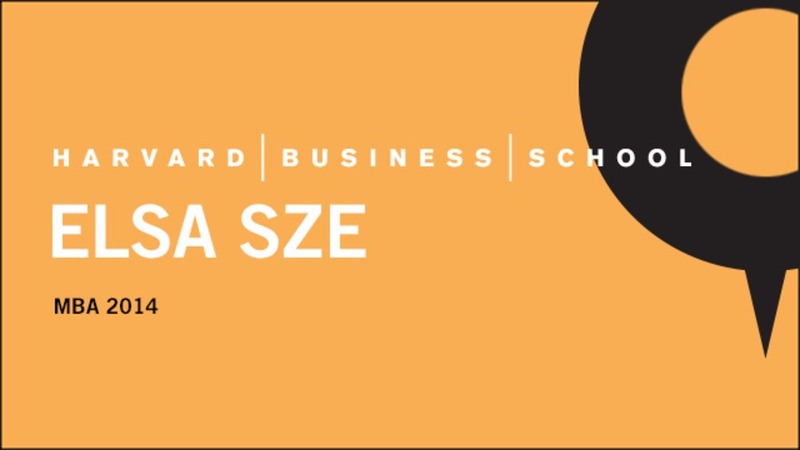 The curriculum includes three courses that are exclusive for students in these two programs: the HBS/HKS Joint Degree Seminar (first two years), the Business-Government Integrative Course (fall, third year), and the Capstone Exercise (spring, third year). Participants generally complement their required and elective studies with two summer internships: either a policy, international development or social enterprise internship in the first summer, and a business-related internship in the second summer. A typical candidate will follow the sample schedule outlined below. Students interested in the MBA/MPP or MBA/MPA-ID joint degree programs apply to HBS and HKS separately and are selected independently within the same application cycle of a given year. When applying, students must identify their interest in the joint degree program in each school's application and submit a joint degree program application essay to both schools. While each school will maintain its separate admissions application timetables, all applicants interested in a joint degree program are required to apply to HBS in the first or second round of admissions and apply to HKS by the December deadline. In Year 1, a student pays full HKS tuition and fees. The student applies to the HKS Financial Aid Office for financial aid and follows standard HKS financial aid policies and procedures. In Year 2, a student pays full HBS tuition and fees. The student applies to the HBS Financial Aid Office for financial aid and follows standard HBS financial aid policies and procedures. In Year 3, in the fall term, a student pays one term of tuition and fees at HBS, and applies for financial aid from HBS. In the spring term, a student pays one term of tuition and fees at HKS, and applies for financial aid from HKS. Students in the joint degree program will be limited to a total of three years of financial aid from HBS and HKS toward the MBA/MPP or MBA/MPA-ID degrees. See this year's MBA student budget and HKS student budget (domestic and international). To develop leaders, skilled in management and the shaping of innovative public policy, who will assume positions of influence spanning business, government, and nonprofit organizations, through which they will contribute significantly to the well-being of society. Graduates of the joint degree programs will be prepared to address some of the world's most pressing issues—issues that call for collaboration of the public and private sectors and require leaders who can effectively operate in both. If you have a career vision that spans the public and private sectors and want to have a greater impact on the world, you should consider the HBS/HKS joint degree programs. In addition, many students who have graduated from the joint degree program have highlighted the benefits of having a tight-knit group of students who have shared interests and experiences and both schools. This experience is reinforced by joint degree seminar classes, social events and attendance at speaker events with influential cross-sector leaders. What are the typical backgrounds of students? Students enrolled in the HBS/HKS joint degree programs represent a diverse range of demographic, professional, and academic backgrounds. That diversity is one of the key strengths of the joint degree programs. We are looking for exceptional people who can meet the challenges of two highly competitive schools, operate effectively in both the public and private sectors, and provide the leadership skills needed to bridge those different worlds. Applicants interested in the joint degree programs will apply to HBS and HKS separately but in the same admissions cycle for a given year. Applicants will be evaluated independently, but they must identify their interest in the joint degree program in each school's application and submit a joint degree program essay to both schools. While each school will maintain its own separate admissions application timetables, all applicants who are interested in a joint degree program will be required to apply to HBS in the first or second round of admissions and apply to HKS by the December deadline. Can I change my mind about participating in the joint degree program after I start? No. The joint degree programs have been designed to provide students with a unique opportunity to earn two valuable degrees in only three years as a cohort. Upon entering a joint degree program, a student is expected to meet the requirements at both schools in order to graduate from Harvard. Information about admission requirements can be obtained by contacting both the HBS and HKS Admissions offices. Two HBS/HKS joint degree students review 6 things applicants should know.